Rebecca van Dorsten began her training with Kathleen Crofton in Buffalo, New York and graduated from the National Ballet School of Canada, where her study included work with Glenn Gilmour, Earl Kraul, Daniel Seillier, and Erik Bruhn. Ms. van Dorsten additionally trained with the Joffrey School in New York City. 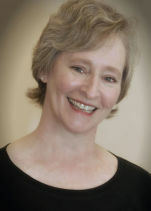 Ms. van Dorsten joined the faculty of The Raleigh School of Ballet in September 1991, and served as Associate Director of RSB from 1993 to 1998.